An abridgement that parallels the 17-volume treatise in organization and analysis. Cut To The Core Of Workers' Compensation. 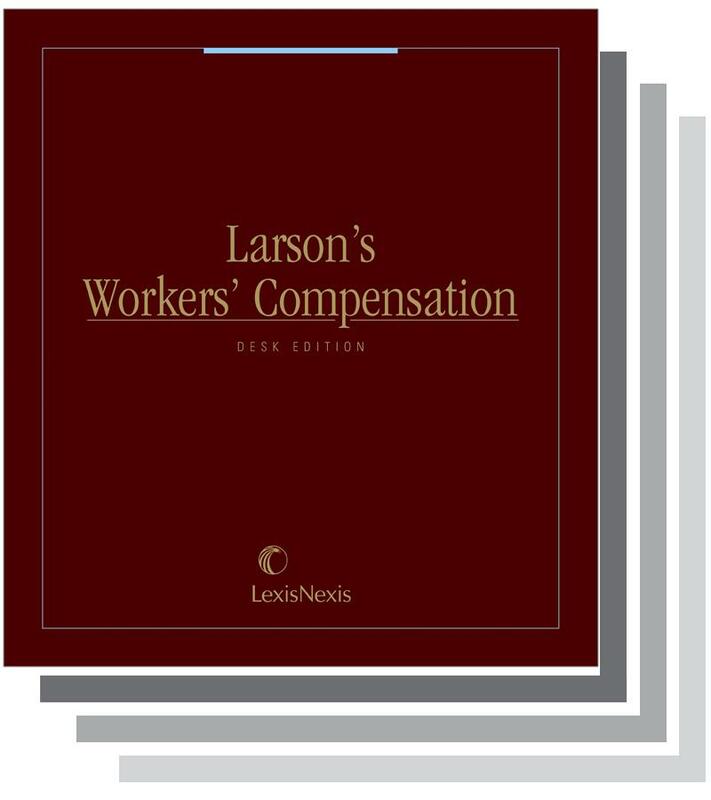 Larson's Workers' Compensation, Desk Edition delivers detailed case analyses, statutory references and essential background information in timesaving, comprehensive portions. With this compact reference, you can: understand the different categories of risk and the cases that support them; determine compensability under the law; and handle even the most complex compensation claims or defenses. Additionally, the parallel section numbering system eliminates the need for repeated cross-referencing between sets. Provides The Full Range Of Significant Workers' Compensation Issues. 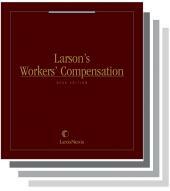 Larson's Workers' Compensation, Desk Edition gives you succinct, straightforward discussion of claims based on exposure to natural and "street" risks, emotional stress, recreational injuries, assault, suicide, intoxication and much more, with careful attention to variants arising from a wide array of circumstances. With Larson's Workers' Compensation, Desk Edition, you'll always be apprised of the latest developments in such controversial areas as the exclusive-remedy defense, medical and death benefits, psychological injuries, third-party claims, sexual harassment, and employment-related suicide. 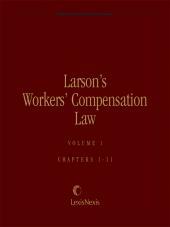 An abridgment that parallels the 17-volume Larson's Workers' Compensation Law in organization and analysis, the Desk Edition cites only as many cases as are necessary to illustrate the points covered in the text. Part 2 "Arising Out Of The Employment"
Chapter 3 The Five Lines Of Interpretation Of "Arising"
Chapter 12 Meaning Of "Course Of Employment"
Chapter 29 Conclusion: Work-Connection As Merger Of "Arising" And "Course"
Part 6 "Personal Injury By Accident"
Chapter 42 Meaning Of "By Accident"
Chapter 44 Injury From Usual Exertion Or Exposure: What Is Unusual? 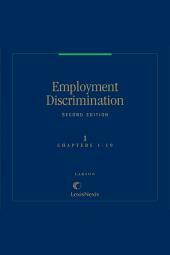 Chapter 46 Usualness: Relation Of "By Accident" To "Arising Out Of The Employment"
Chapter 55 Meaning Of "Personal Injury"
Chapter 64 Necessity For "Contract Of Hire"
Chapter 70 Statutory Employees: "Uninsured Contractor Under"
Chapter 71 Statutory Employees: "Other Non-Employees Deemed Employees"